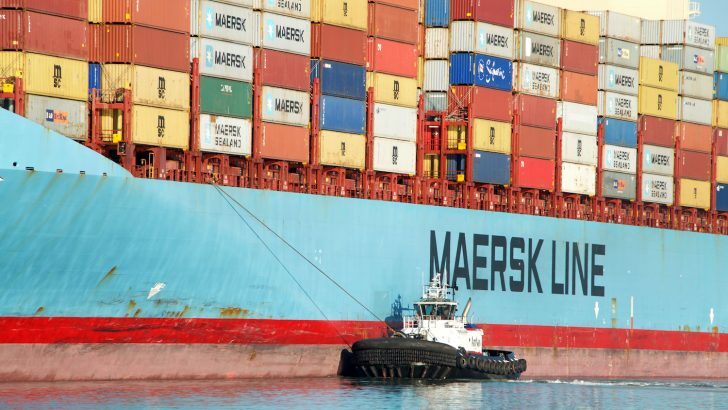 The Danish shipping giant Maersk has revealed the completion of its first live blockchain trial, aimed at simplifying the way in which it sends trillions of dollars worth of products around the world. Coming at a time when the firm that accounts for 15.8% of the world’s global shipping fleet traffic has experienced a sharp decrease in annual revenue, the application was designed to help save costs by moving the expensive and time-consuming paperwork between each of the counterparties to a blockchain-based smart contract system. Built in partnership with IBM using Hyperledger’s open-source Fabric blockchain, the test resulted in a trans-Atlantic shipment of goods from Schneider Electric, a French energy management and automation company. Following the successful test, Ibrahim Gokcen, chief digital officer for Maersk Transport & Logistics, said that the company sees a potential role for the technology in its supply chain management process, and is exploring other applications as well. The shipment in mid-February, took two weeks to move from Rotterdam to the port of Newark in New Jersey, passing through US customs and other agencies along the way. While the minimum Hyperledger requirement of only four nodes were active during the supply chain test, every party involved was given customized credentials that allowed them to view only the shipping data that was required along every step of the shipment. In the shipment revealed today, only Maersk and IBM managed the nodes, with the other parties using their credentials to access data via a mobile device or web application. But in the future, shipping companies and government regulators are expected to manage their own nodes. For example, in the test revealed today, Maersk’s supply chain solutions company, Damco, managed the shipment at the point of departure, with the Customs Administration of the Netherlands and the US Department of Homeland Security Science and Technology Directorate also participating. As a result, Gokcen believes the blockchain solution has the potential to not only reduce paperwork, but fight costly shipping fraud by making it more difficult to inaccurately label products, if widely adopted. A study conducted by Maersk in 2014 showed that on average about 30 people and organizations are involved in the shipment of a product using a shipping container, resulting in over 200 separate interactions, each requiring a new set of documents. But this trial wasn’t just about testing new technology. Amidst a global decline in trade volumes, last year was particularly tough for Maersk, which is currently valued at $236bn, and has a fleet of approximately 628 ships deployed around the world. Described as a “financially challenging year” in an annual report published this month, the shipping giant reported an overall decrease in profits, in part due to a drop in the average container rates from Maersk Line, the company’s division dedicated to transport and logistics. To help combat that global drain on resources, shipping companies around the world might more efficiently manage their supply chains with similar blockchain services, according to IBM Research vice president Ramesh Gopinath, who helped oversee the Maersk implementation. In addition to expediting transaction times by cutting down on paperwork and making it more difficult to commit fraud, the blockchain, according to Gopinath, has the potential to better optimize the use of empty containers by giving more parties access to the availability of nearby ships. “There’s a trade imbalance resulting from all these empty containers being located in the wrong places,” Gopinath told CoinDesk. To increase the visibility of such lost opportunities, Gopinath suggested that information about which containers are empty and available could be updated in real-time. 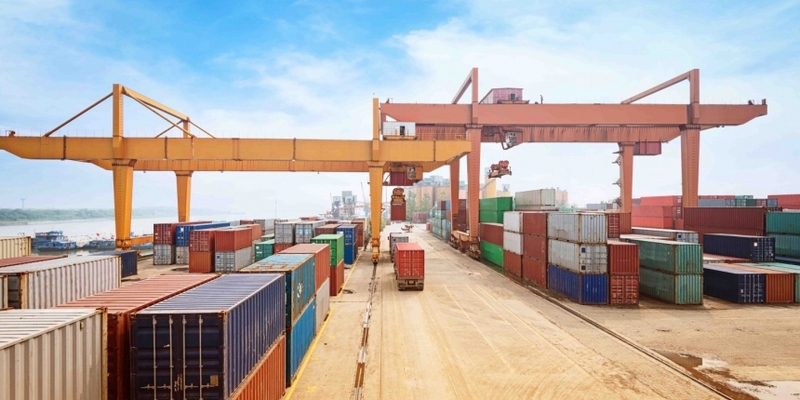 He added IBM wants to capture data on as many as 10 million containers by the end of the year. Though Maersk is widely known as a shipping company, it is also in the oil and drilling business, and has an even lesser known trade finance operation. Described as a “merge” of trading and finance by the company, the pre- and post-shipment financing options are designed to more quickly resolve unexpected delays related to funding issues at any time during the shipment of goods. But according to Gokcen, Maersk is also interested in seeing how the tech could play a role in the financial services it offers, including trade finance. “We would love to explore blockchain more in that domain,” he told CoinDesk. What also remains to be seen is just exactly “what entities legally will be there running the solution,” according to Gopinath. For the time being, the relationship is being described as a “partnership”, in which parties interested in participating can contact either firm. Maersk also hasn’t quite figured out exactly how much money it could potentially save if it shifted on a wider scale to a blockchain-based supply chain solution.